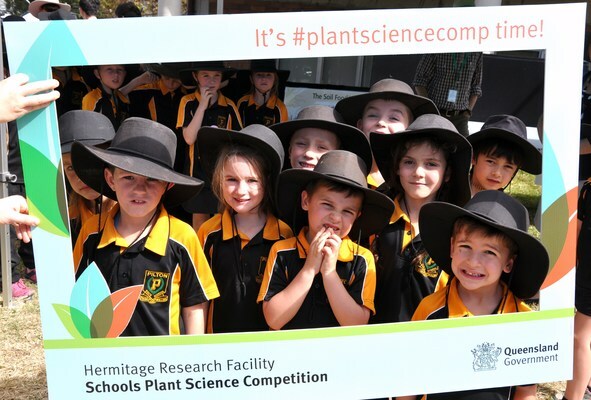 Entries are open for the 2019 Hermitage Plant Science Competition. A national competition for school students of all ages will spotlight invasive pests and their effects on Australia’s agriculture industries. Department of Agriculture and Fisheries (DAF) Customer Support Officer Kerrie Rubie said ‘Pest Invaders’ was the theme for this year’s DAF Hermitage Research Facility Schools Plant Science Competition. “Through ‘Pest Invaders’, students from years prep to 12 can investigate issues such as why cane toads were introduced to Australia or how exotic diseases made their way to our shores and devastated our agricultural industries,” Ms Rubie said. “Schools and individual students can vie for awards and prizes by conducting an experimental investigation on insects, weeds or plant diseases, discovering their impact on the natural environment and finding ways to eradicate or control pests. Ms Rubie said 60 schools from across the country had already registered to be part of the competition, now in its 23rd year. “Competition entries close on 28 June 2019 and schools can register their interest to participate in the competition at any stage during the year,” Ms Rubie said. “However, entrants should allow at least seven weeks to complete the various experiments, activities and reporting requirements before the closing date. Ms Rubie said almost 3500 students representing 164 schools submitted 230 high-quality science and art entries into last year’s competition. “The Hermitage Research Facility Schools Plant Science Competition provides both a valuable learning opportunity and inspiration for an exciting and rewarding career,” Ms Rubie said. “Activities are aligned to the Australian school curriculum each year, making it easy for teachers to incorporate the competition project into their learning programs. For more information about the competition, visit www.daf.qld.gov.au or call 13 25 23.